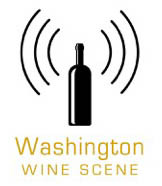 I revisited the region virtually via the latest episode of the What We’re Tasting podcast. My guest was Alexander Peartree, who is The Thuse‘s tasting director and reviews the wines of New York State. Wait, you’d like to know more about the Finger Lakes? Whoa, I’ve got some blog posts for you. Let’s go. Discover five wineries on my podcast recorded in 2015 at “Harvest House.” Perched right on Seneca Lake, it was most idyllic. I asked folks from each winery one question: What makes the Finger Lakes so special? I also spent a day working at a winery, Villa Bellangelo. That was great. So was going to FLX Wienery, one of my all-time favorite wine country restaurants. Even further in the FLX time machine, here’s my 2014 conversation with Kris Matthewson of Bellwether Wine Cellars. And let’s take it back to 2012 (!) when I experienced Pinot Noir (my first FLX wine) and both Blaufränkisch and Dornfelder from Red Tail Ridge. Alright, this should definitely whet your appetite/palate for the Finger Lakes. This region also makes me appreciate how big a dang state New York is. I’ve been to the Hudson Valley probably a dozen times and Troy once. Outside of that, a mind-numbing number of times in Westchester and a few wonderful visits to the North Fork of Long Island. I can’t believe I’m closing in on three years in New York City. One of my goals for my fourth is to spend a lot more time outside of it, exploring this cool state. 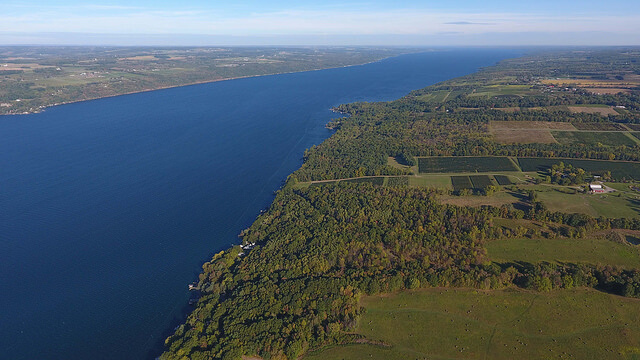 The post FLX-cellent: Time to Visit the Finger Lakes appeared first on Jameson Fink. My first visit to the Finger Lakes was a memorable one. I was a media guest stationed at “Harvest House”: an awesome huge spot on Seneca Lake with intriguing and original features. (Cue the taxidermy.) I was beyond impressed with the people and the wines. The day I spent at Villa Bellangelo was particularly emblematic of those feelings. Does it hurt that this is the view from the office/winery? No. This is a lovely area to make–and drink–wine. It was really cool hanging out with these dudes all day. There was a touch of “hurry up and wait (for grapes)” happening which gave me time to pepper Bissell and Kendall with questions and have a lot of fun absorbing the atmosphere. The winemaking attitude here is very blue jeans-and-flannel. The grapes don’t get rapped on the knuckles by a winemaker’s ruler whenever they get out of line or show an independent streak. The overall feeling is one of chillness, though certainly not cavalier. OMG Jameson don’t look but a giant Seneca Lake Marlin is right behind you. AND OMG Nathan, it’s about to pierce your head!!!! I also had a similar experience to my time at Villa Bellangelo the next day at Red Newt Cellars. It was fun to watch Head Winemaker Kelby Russell along with Megs, Page, and Mark, go about their daily routines in a spirited manner. They have forged a quirky, self deprecating chemistry that was right up my alley. Even though the weather was a bit gloomy, the people I spent time with were a bright spot. Stay tuned for a fun podcast. I recorded a bunch of interviews at Harvest House before dinner got (well) underway. Consider this the dawn of my Finger Lakes adventures! The post Villa Bellangelo: A Day at a Finger Lakes Winery appeared first on Jameson Fink.